Putney MP Justine Greening visited Habinteg tenants in Wandsworth to hear about the difference that an accessible home has meant to their lives. 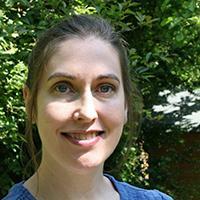 Here’s the second part of Vaila Morrison’s guest blog for us. As we built up to the #ForAccessibleHomes campaign day, Vaila spoke at the CIH Health and Housing conference to explain her perspective on the issues. Habinteg's campaign to raise awareness of the vital need to increase the number of accessible homes took off with a successful day of action on Friday 8 July. There were many highlights from the day which involved Habinteg tenants and staff as well as influential organisations, interested individuals and local and national decision makers. 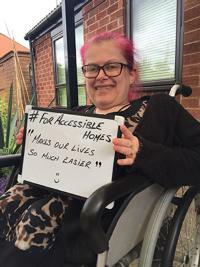 Today is our #ForAccessibleHomes campaign day. We've been delighted with the response to the campaign so far and today promises to be filled with great personal stories of the impact that living in a home that meets your accessibility needs can have.